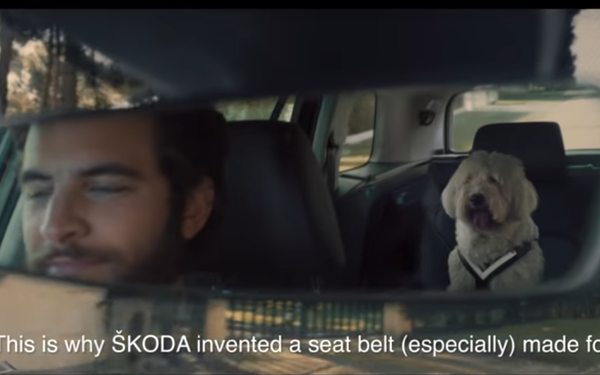 European auto maker Skoda is touting its new dog seat belt accessory in new ads. The "DougThe Dog" creative, developed with Rosapark, shows how dogs, just like the rest of us, can become projectiles inside a vehicle during high-speed crashes. The campaign runs across Facebook, Instagram, Youtube and LinkedIn. Tweeters can post pictures of their dog using the hashtag #DougTheDog and Rosapark and Skoda will republish the picture after adjusting the image to transform the pet into a one-ton giant, and thus potentially a one-ton projectile.